Safe hiking or backpacking – who is responsible? You are here: Home / Advice and help / Safe hiking or backpacking – who is responsible? In this article Georgie Bull continues the theme of being safe and responsible in the outdoors. This follows on from last week’s article, Best Map for hiking From Cradle Mountain to the Walls of Jerusalem , where there were some fantastic comments from you, our readers. Our discussion on whether blog sites should encourage all walkers to get out there into the wilderness got me thinking about how responsible we should be, as experienced walkers, to our inexperienced or ill-prepared fellow track users. We know of the dangers and the vagrancies of Australia’s wilderness areas and so take due care, but should we necessarily label as irresponsible all the inexperienced people who venture out there less prepared than us? I know the OT is wet and muddy and the weather can change to lethal in an instant. Knowing that, and knowing there will be undoubtedly be unprepared walkers on the track, how much extra should I do in preparation to help others? I would gladly share my food and warm clothing – and maybe scroggin – with anyone in distress, but should I take extra in case I meet someone who needs them? And does my knowledge of how Australia’s wilderness areas work make me ethically responsible to also know how to preserve another’s life out there if the need arose? 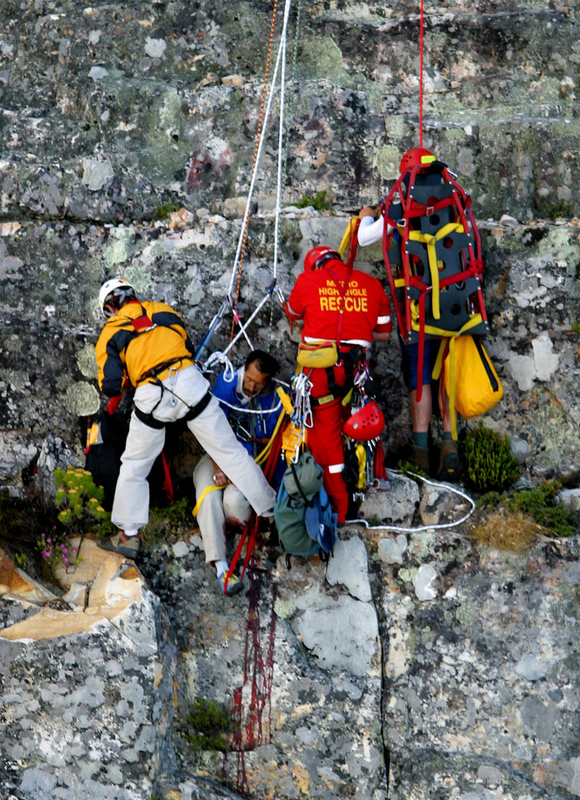 If I know the terrain in an area might mean that formal rescue could be slow, should I make myself competent in not just basic first-aid, but also in life-saving knowledge and skills? How far should my responsibility go? This question troubled me, so I surfed the net looking for organisations that offer courses in remote first aid and Wilderness Emergency Response. The Wild Aid site is upfront and transparent, and I would suggest it as a good baseline site to compare other organisations against. Their courses range from the 2 day basic, up to 6 days for group leaders. The cost made me gulp, as courses range from $3300 to $7700 just for the tuition, with travel and course logistics costs extra. Ed: these prices include up to 12 people in a group and are over 3 days (about $298.00 each) – thanks Ken. St John’s Ambulance offer a Remote Area First Aid course which they claim covers even the potentially high level first aid needs of canyonning and caving, but they don’t supply many details other than their refund policy. The cost for the 2 day course is $310, and the textbook is extra. Doing a remote area first aid course would entail considerable cost, time and effort on my part, but do I have an obligation to be a well-prepared Good Samaritan? How responsible should we be for the safety and well-being of walkers who, like us, want to get out and experience the wonders of our amazing wilderness areas, but whose lack of knowledge could unknowingly get them into all sorts of trouble. I always carry extra food and water for those just in case scenarios, if that scenario happens to be helping someone else out then so be it. You cannot expect someone new to hiking to instantly know what to do in every situation. Unfortunately you have to learn by your mistakes, sometimes those mistakes are dangerous. I am planning on doing the St. Johns remote first aid, not only to help people I may meet on the trail but also to help the people in my group. I should mention that in order to do the remote first aid course, you have to have a current level 2 first aid certificate. Also, I am more inclined to go through St Johns as the money you spend on the course goes towards the organisation, and ultimately back to the community. I think responsible hiking would be to prepare yourself in a way so you don’t need to rely on other people’s help if you get into trouble. That includes all kinds of things from clothing to navigational skills, medical equipment, emergency beacon and insurances that cover your dangerous activities and potentially rescue operations. I have all of that. Once you’re covered for all situations, it’s then easier to help others if they need help, and I would never hesitate to activate my PLB or go to any lengths for people who need it as long as I can justify it regarding my own safety. However I would never do specific preparation or carry equipment only to prepare for people who are not prepared, that goes beyond my responsibility. I think a better way to handle the problem of unprepared hikers would be – referring to the previous maps article – to get people to prepare appropriately, however that may happen. Even the best prepared and most experienced can run into trouble, and there will always be those who won’t take any advice (but they’re not reading this blog). I think in Australia we try too hard to legislate against stupidity, and try and assign blame for simple accidents and mistakes. We don’t want to arrive at a point that nobody can have a go at anything. A very dear cousin died in the bush at Macquarie Harbour at Christmas time. He was a solo yachtie with years of experience who helped a lot of inexperienced sailors out of trouble. We’ll never know exactly what happened. His greatest fear was not that something would happen to him, but that something would happen to someone else if he got himself into trouble. He chose his lifestyle and knew the risks. 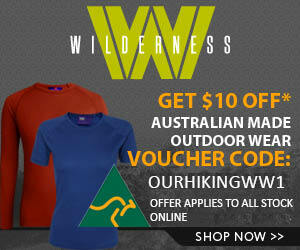 There is heaps of good info out there about hiking, the risks and the rewards. How anyone could head off into the wilderness without even a bit of on-line research is beyond me, but obviously they do. Coming from Germany, a country that probably holds the Guinness record for legislating absolutely everything, I must say Australia seems like the exact opposite to me, and I really appreciate that. However in situations where too many people act grossly negligent, legislating can help solving the problem. When threatened with fines, most people suddenly listen. We travel a lot in Asia, where we see things that would give our WorkCover inspectors apoplexy. It’s virtually impossible to build a house in NSW without risking a fine: you have to be tied to a roof to work on a roof but how do you do that, I ask, if you’re building the roof? But I digress from an interesting and valuable topic, so I’ll just say I’m glad you’re enjoying Australia! Note that Wild Aid prices are for a group of 12. The NSW St Johns http://www.stjohnnsw.com.au/ website has the courses easier to find. Combined senior (I think this is changing its name to Apply First Aid) and remote area is $410. 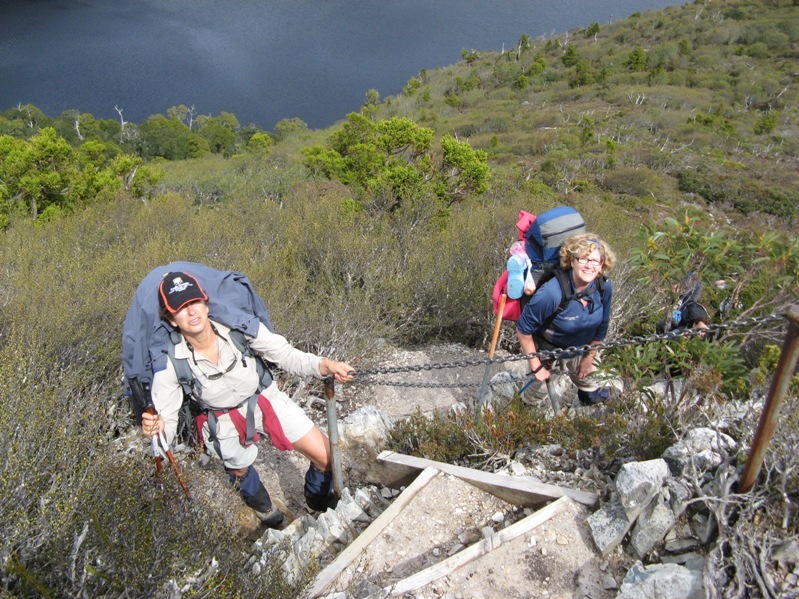 An alternative in NSW is the course organised by the BWRS (Bushwalkers Wilderness Rescue Squad) http://www.bwrs.org.au/?q=remote-area-first-aid If you are a member of a bushwalking club affiliated with the NSW Confederation the cost is $250 for two weekends. Hopefully other states do similar. Twice in the last year I’ve met people who were obviously unprepared and didn’t have a clue. The problem is that I don’t have anything that says that I have any knowledge about bushwalking. That then leads us into the murky area of proficiency and certification. Thanks Ken for your comment re Wild Aid’s prices – I have added a note in the body of the article. When I lived in Colorado you could buy a fish and game license for $20 which covered search & rescue fees. So I’d buy one every year as an insurance package. Still I always carry the 1o essentials and I did take a 70 hour Wilderness First Responder course when I knew I was going into a remote area. It’s always a tough question and the people you see on the trail defy imagination. But – I wear Tevas so a lot of people think I’m clueless. A little commonsense would go a long way. I think everyone who goes into the backcountry, and especially anyone who goes alone (like myself) should have some sort of medical training. Personally I have training as a Wilderness EMT (when it expired, I down graded it to Wilderness First Responder). As we all know, things can go wrong when you are far away from help. Any knowledge that you can gain before going out is great to have! But that being said, I don’t think I would GET the medical training solely to be able to help some unknown, unprepared hiker who is out there too. To go through the expense and time as “what if” for someone else seems crazy. I am glad I have the training and I got it because I was a wilderness guide and a member of Search and Rescue. I will certainly do whatever is in my power and scope of knowledge to help anyone that needs it. The question of coming upon unprepared hikers is another subject. Needless to say, I think that unprepared hikers shouldn’t be out there, but that doesn’t seem to be the case at all these days. I have come upon many lost, cold, and disorientated people out there! One often wonders “what are they thinking”? I think education is key – trying to get people to understand what they are about to undertake and help them be more prepared. But I disagree that legislation is the way to go – let’s have some personal responsibility for our personal safety – eh? As a member of an elite group of people (those that choose to go bush and can survive out there), I feel fortunate to have the skills I have. And as a caring person, I will, of course, help anyone else out there that needs it. But one of the first things you learn in a Search and Rescue group is “don’t become a victim”. So it is important to keep you and your group safe primarily, and then do whatever you can to help others. Now, should I carry extra food for some yahoo who doesn’t have enough sense to carry his own? (Does my language give the impression that I have an attitude about this one??) I always carry an extra day’s worth of food incase something happens and I am out there longer. If I am near the end of my trip, I will be more than happy to share with someone who needs it. However, I don’t think I am going to be carrying extra food for someone else when I have a pack that has 10 days of supplies for myself in it. Maybe I’m being selfish, but I can only carry so much weight!